I can’t believe it is October already! I am going to share with you a few of my favourite products from September. I picked up this Barry M eyebrow kit in Boots. 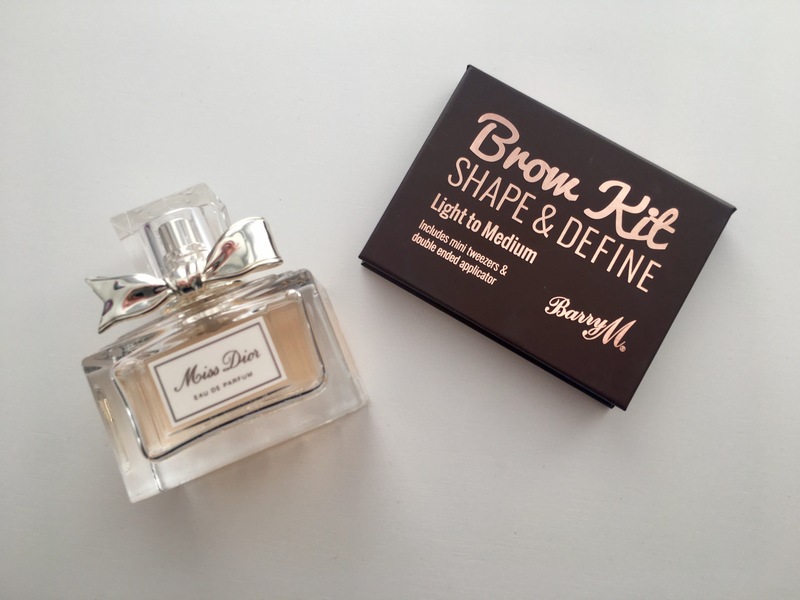 It is a three step kit, first you set your eyebrows with the wax and an angled brush then you fill them in with the powder and then the last step is to define your eyebrows using the highlighter powder. This is so perfect as it is quite easy to do and always finished off any makeup look. This perfume has always been a favourite of mine. I use this a lot more in the Autumn and Winter as I prefer lighter fragrances in the Summer months. As we are now in Autumn and unfortunately the summer weather has gone this is my go to perfume. This body butter has become an absolute daily essential for me. It smells so incredible and leaves my skin feeling really soft. It rubs in so well and doesn’t leave my skin feeling greasy. At the moment it is only £1.95 in Superdrug which is a really good price for such a lovely product. I have always loved using dry shampoo, it is such a life saver in between hair washes. I came across this one called sweetie in Superdrug and it smells AMAZING. As my hair is blonde is is also very good at covering my roots if my highlights need re-doing. Pink grapefruit is my all time favourite scent and I am completely obsessed with this body shop shower gel. It is such a refreshing smell, it foams up really well and a little goes a long way! Thank you so much for reading my September favourites. Let me know of any products you have been loving and if there is anything you think I should try. Love your September favourites, I always have to that dry shampoo. I like Batiste Dry Shampoo but Dove makes a really good one too and it is cheaper than the Batiste. I don’t know if you can get it in the UK though. I love your September favourites! 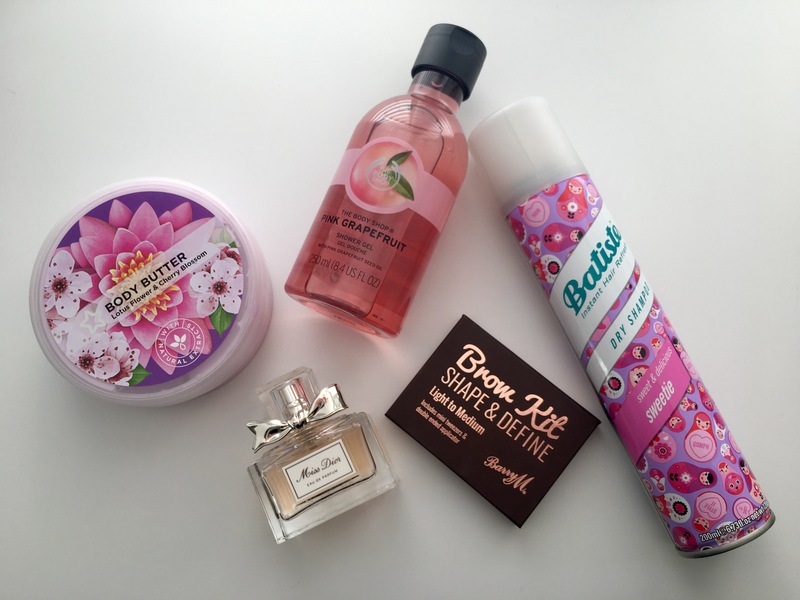 Batiste is one of my favourite products- I can’t find any other dry shampoo like it! I’m looking for a nice fragrance for the fall and winter months, I’m definitely going to check out the Dior perfume you suggested! Oh my goodness, Miss Dior is taking me back! I used to love that scent! I think I need to repurchase it, stat! Dry shampoo is an absolute blessing! I’ve also been looking for a decent brow kit so might have to give that one a try! I absolutely ADORE Miss Dior perfume! I try not to use it everyday though because it is expensive and I want it to last as much as possible lol (the day it runs out, I will actually be really sad). Every time I do use it though, it always makes me feel happy.